In this paper, we present an overview of Gaussian-3 (G3) theory, a composite technique that employs a sequence of ab initio molecular orbital calculations to derive a total energy of a given molecular species. 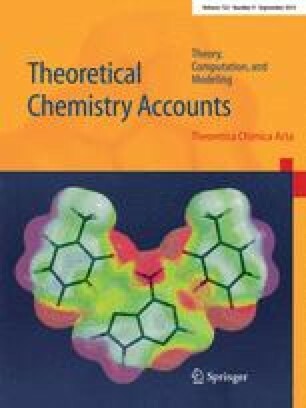 This method provides accurate energies of molecular systems for the calculation of enthalpies of formation, ionization potentials, electron affinities, proton affinities, etc. Also covered in this review are several variants of G3 theory including one based on scale factors (G3S) and an extended version (G3X) that uses improved geometries and larger Hartree-Fock basis sets. Finally, the G3/99 test set of accurate experimental data that is used for critical assessment is described. Overall, G3 theory has a mean absolute deviation from experiment of 1.07 kcal mol−1 for the G3/99 test set and G3S theory has a similar accuracy of 1.08 kcal mol−1. G3X theory is significantly more accurate with the mean absolute deviation from experiment decreasing from 1.07 kcal mol−1 (G3) to 0.95 kcal mol−1 (G3X). The scaled version of G3X theory shows a similar improvement.